- 3 groups of SOS numbers for emergency Call. 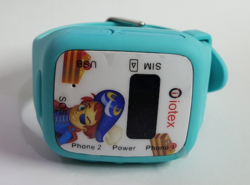 Our wireless GPS watches are rugged, small, power efficient and feature two-way voice communications, precise GPS tracking, alerts, small size, and an excellent design that kids love. Stay connected to your children when they are away from you. 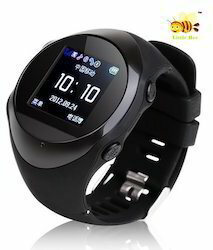 Being a prominent organization, we are instrumental in providing our valued clients with a wide assortment of Child GPS Watch. Real-time GPS monitoring orientation, and real-time tracking of base station double positioning (SMS/GPRS/TCP/UDP).